Wikipedia is a free,web-based, collaborative, multilingual encyclopedia project supported by the non-profit Wikimedia Foundation. 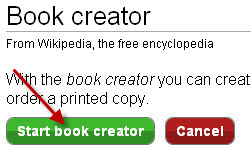 1.Click create a book in the print/export section of wikipedia. 2.Now click Start book creator button. 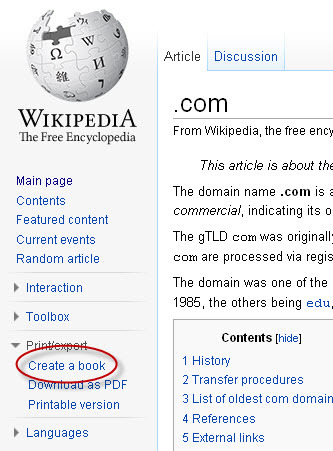 4.click the “Add this page to your book” link. 5.Repeat this step until all the pages have been added. 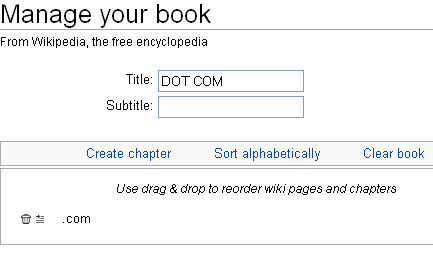 6.After that, click “Show Book” and give a title and press the download button to save your book as a PDF file.